Developing a strong marketing foundation is the first step to getting on the path toward a successful marketing strategy. Silicon Audio was searching for a marketing agency that would understand their business and formulate a foundation for their marketing. Silicon Audio’s business is unlike any other. Their current brand messaging describes, “They create technology that combines the best of century-old innovation with imaginative modern engineering.” That sentence alone exemplifies the struggle they faced with conceptualizing their marketing efforts. 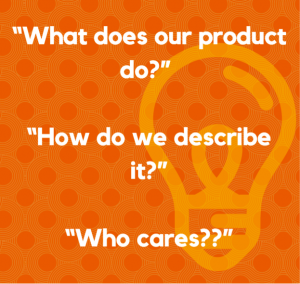 By going through the TREW marketing foundation process of answering the following three questions, Silicon Audio found the right track to define their brand message based on their developed personas. They also redesigned their website in a strategic and visually appealing way in order to reach their target demographic. With their marketing foundation in place, Silicon Audio was able to then effectively organize their efforts and targets, leading to consistent messaging through their website, videos, trade show conversations and PR marketing. Watch the Silicon Audio customer testimonial video that features Coe Schlicher, CEO of Silicon Audio, and Erin Miles Fields, Director of Operations of Silicon Audio, discussing their experience working with TREW to understand what they wanted their marketing to do for them and then devising a plan to get them to their goals. Check out another testimonial from our customer MyITpros to learn how TREW helped guide them to 20% lead growth!